'Ancient Rome at the Cinema' is a lucid study of the worlds created in Roman historical epics. Based on analysis of the visual and narrative fabric of seven films set in Ancient Rome, 'Ancient Rome at the Cinema' demonstrates how cinematic versions of Ancient Rome have been able to captivate us, and inscribe their versions of the city and its history onto our imagination. Theodorakopoulos uses film theory and criticism to examine the ways in which historical drama creates the past through story-telling and visual effects. Particular emphasis is put on the tension between narrative and spectacle which is an inherent feature of cinema, and a long-standing preoccupation of film critics and theorists from the 1930s to the present. The book also examines the techniques and the rhetoric of realism which feature especially prominently in historical films. 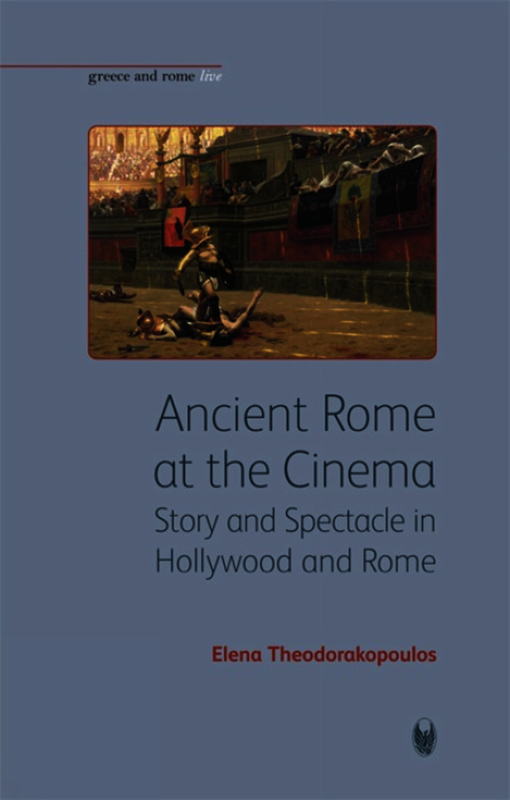 'Ancient Rome at the Cinema' is a companion volume to 'Ancient Greece in Film and Popular Culture' by Gideon Nisbet (9781904675785, 2008, 2nd edition). Elena Theodorakopoulos is a lecturer in Classics at the University of Birmingham. She has recently co-edited The Rhetoric of Advice in Greece and Rome (2007) with Diana Spencer and has written chapters for The Sites of Rome: Time, Space, Memory (2007), edited by D. Larmour and D. Spencer, and Blackwell Companion to Catullus (2007), edited by M. Skinner. Elena Theodorakopoulos is a lecturer in Classics at the University of Birmingham. She has recently co-edited 'The Rhetoric of Advice in Greece and Rome' (2007) with Diana Spencer and has written chapters for 'The Sites of Rome: Time, Space, Memory '(2007), edited by D. Larmour and D. Spencer, and 'Blackwell Companion to Catullus' (2007), edited by M. Skinner.